To preserve the Chapel and to enable it to remain and grow in its role as the historic and future core of the ‘Sconset Community, the Behold Stewardship fund was established to provide financial security for the Chapel’s future. Operating expenses, such as the honorarium for the Minister and costs of utilities and gardening, depend on weekly Sunday plate collections and any individual contributions. 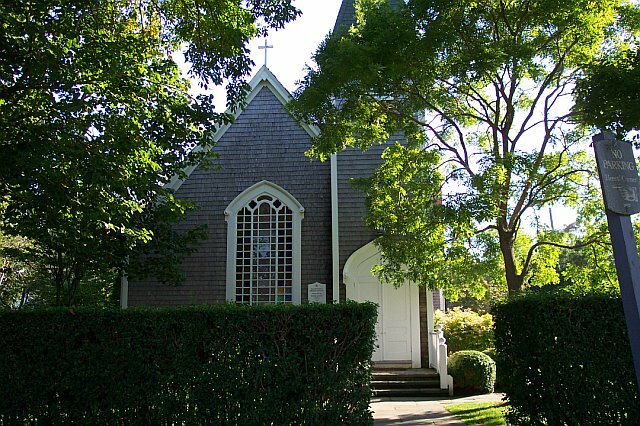 The maintenance of the Chapel and its essential components such as the Sconset Community Green, which is a place for families to gather for the Fourth of July picnic and other activities such as outdoor musical performances, have come to require annual expenditures that can no longer rely exclusively on occasional gifts and the Sunday collection. Mission: The Fund is to provides financial security necessary for the Chapel to continue its time-honored role at the center of summer life in Sconset. Our goal is to provide excellent pastoral leadership, programs that nourish the intellect and spirit, outreach to meet Nantucket's community needs, and very importantly, the preservation and maintenance of the Chapel's historic building, columbarium, and its grounds. The Sconset Chapel depends upon the generosity of its summer membership to provide for the day to day operating expenses of running the Chapel. Summer members are asked to prayerfully consider the important role the Chapel's plays in their spiritual life as they make their annual financial commitment to the Chapel. Charitable contributions from friends and benefactors to the endowment will provide permanent capital to enable the Siasconset Union Chapel to continue its mission as a central gathering place for the community, while providing for the perpetual care of the Chapel and related property including importantly the Columbarium. The endowment is invested and governed by the Chapel Finance and Investment committees. 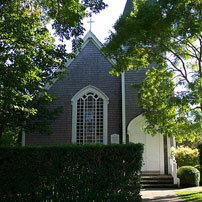 The returns from investment of the endowment are intended for the maintenance of the Chapel and associated property and programming at the Chapel. As a 501(c)(3) corporation, all gifts are 100 percent tax deductible. Direct Cash donations in the form of a personal or business check can be made out to Siasconset Union Chapel Corporation or Siasconset Union Chapel Behold Stewardship Account and posted to Siasconset Chapel, P.O. Box 400, Siasconset, MA 02564. Make a contribution in honor or memory of a friend or loved one and we will send an acknowledgement of your gift to the individual or family. Many employers sponsor matching gift programs and will match any charitable contributions made by their employees. To find out if your company has a matching gift policy contact your human resource department. If your company is eligible, request a matching gift form from your employer, and send it completed and signed with your gift. We will do the rest. Maximize your personal contributions to the Chapel by increasing the impact of your gift. Some companies also match gifts made by retirees and/or spouses. A gift of appreciated securities involves the donation of stocks and other assets that have increased in value over time (a year or more). Donors may realize the full value of the gift as a result of a contribution of this kind (Rather than paying capital gains taxes on the increase in a stock’s value, a donation to the Siasconset Union Chapel Corporation or Siasconset Union Chapel Behold Stewardship Account would avoid capital gains taxes and enable the donor to deduct the full value of the securities the day they are transferred to the Chape). Hence, the charitable deduction is maximized and capital gains taxes are avoided. Please do not instruct your broker to sell on behalf of the Siasconset Union Chapel Corporation or Siasconset Union Chapel Behold Stewardship Account and please do not send the securities to a transfer agent to transfer them into the Chapel’s name. The date of your gift will be the date on which the ownership of the securities is actually transferred into the account of the Siasconset Union Chapel Corporation or the Siasconset Union Chapel Behold Stewardship Account. The amount of your gift for tax purposes will be the mean value of the high and low value of the security on the date of transfer, regardless of when your broker received your instructions. evergreenenv.com For information on how to execute a stock transfer please contact Jamie Holt (610) 574 3634 or email him at or contact Sheila Daume at (508) 680-1801 or email her at . A charitable remainder trust is a powerful tool that allows donors t potentially receive lifetime annual income, receive a charitable deduction immediately, and make a significant gift to Siasconset Union Chapel or Siasconset Union Chapel Behold Stewardship Account. A charitable remainder annuity trust pays the donor a fixed income and a charitable remainder unitrust pays the donor income based on the performance of the assets of the trust. For example, stock that has increased in value, but perhaps pays almost no dividend, might not be an attractive investment for an individual to hold, but the sale of that stock could result in unwanted capital gains taxes. By placing the stock in a charitable remainder annuity trust to benefit the Chapel, the owner of the stock receives an immediate charitable gift deduction and will receive quarterly guaranteed income from the trust for the rest of his/her life. The stock is sold by the trust and the proceeds reinvested in greater income producing assets. The donor must consult with his or her accountant or tax attorney in setting up such a remainder trust. A bequest in a will can be the simplest way to support the Siasconset Union Chapel or the Siasconset Union Chapel Behold Endowment Account through planned giving. A donor can make an unrestricted bequest of a set amount of cash or a percentage of an estate. Funds may be left to the endowment through a bequest of real estate or other assets. The bequest may be made directly in a will, or a codicil may be added so that the will need not be rewritten. A gift of life insurance is an affordable way to make a significant donation to Siasconset Union Chapel or Siasconset Union Chapel Behold Endowment Account. Donors may assign a previously existing life insurance policy to Siasconset Union Chapel or Siasconset Union Chapel Behold Endowment Account or they may purchase life insurance with Siasconset Union Chapel or Siasconset Union Chapel Behold Endowment Account as the owner and beneficiary. Q. What are the benefits of making a planned gift? A. This depends on the kind of planned gift you decide to make and on the goals you have for your giving. Some gifts provide significant tax savings while others provide enhanced current income and a smaller tax deduction. Q. Can I establish a charitable trust to benefit more than one charity? A. Yes. A charitable remainder trust may benefit more than one organization. You need to consult with your tax advisor/accountant on the creation of such a trust. Q. Should I consult my attorney or estate planner? A. Yes. The best person with whom to discuss your plans is a qualified attorney estate planner who can assist you in identifying the wisest way to support the Siasconset Union Chapel for your individual situation. Q. Can I be an anonymous planned giving donor? A. Yes. You may choose to give anonymously for a variety of reasons. That decision is entirely up to you. The donor should consult with his or her accountant or tax attorney with any questions.